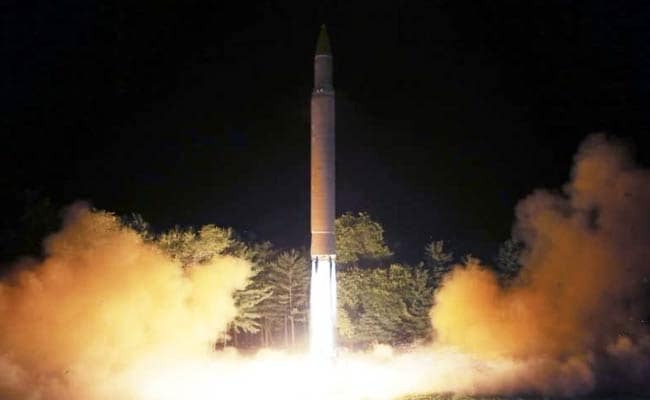 The move follows a war of words between Washington and Pyongyang over North Korean missile tests that show it is capable of reaching the US mainland. Washington: The United States on Tuesday slapped sanctions on 16 Chinese and Russian individuals and companies, accusing them of supporting the North Korean nuclear program and attempting to evade US sanctions. "It is unacceptable for individuals and companies in China, Russia, and elsewhere to enable North Korea to generate income used to develop weapons of mass destruction and destabilize the region," Treasury Secretary Steven Mnuchin said in a statement. The Treasury Department, which oversees US sanctions programs, said those targeted by the sanctions had helped people known to support the North's nuclear and ballistic missile programs, had dealt in the reclusive country's energy trade, had helped exploit North Korean workers or enabled North Korean entities to gain access to the international financial system.